The Shutterstock Custom team is constantly working together to make the experience of being a contributor even better, which is why we’re thrilled to announce our new Contributor Dashboard! 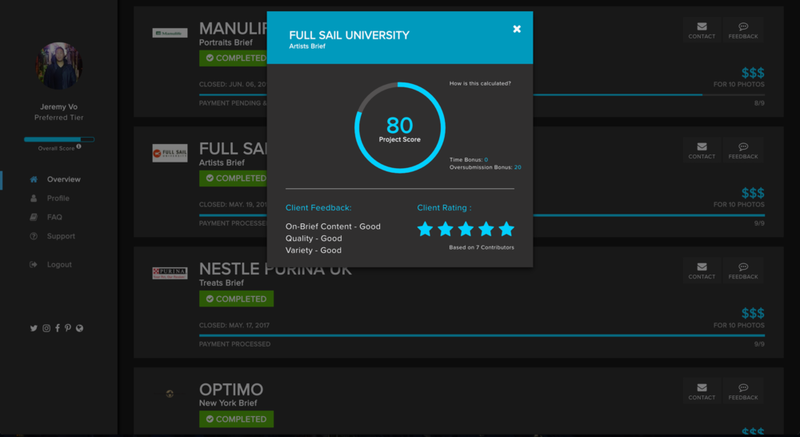 Through this new dashboard, photographers, videographers, and contributors of all types will be given access to a better way to manage assignments, know your project status, and get in touch with our team. Communication: There is a direct link to your Project Coordinator on each brief you accept that can be found via the contact button located on the brief. 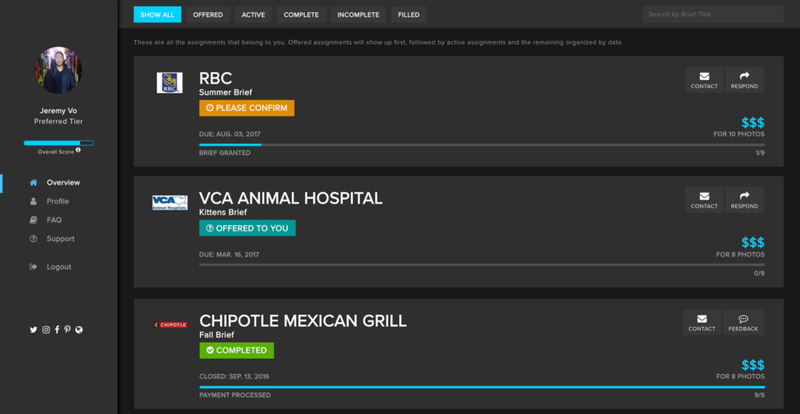 Brief Progression: Allows you to manage and visualize the progress of each brief you are on, from initial interest checks to assignment closure and delivered payment, including clearly displayed compensation. Filtered Views: You now have the ability to filter your assignments by the different states they are in. New Design: A more visually stimulating profile that’s designed with user experience in mind to make doing what you do even easier. Feedback: View both Shutterstock Custom and the client’s feedback on each assignment you complete. Easy Access: There is an easily locatable link in the sidebar to our support team and access to the FAQ for any questions or concerns. For our existing Shutterstock Custom contributors, you can immediately start using our Contributor Dashboard by logging into your profile. Are you a photographer or videographer interested in working with us? Sign up as a Shutterstock Custom contributor and get started shooting custom content for a global network of clients today.